It’s Oral Cancer Awareness Month! 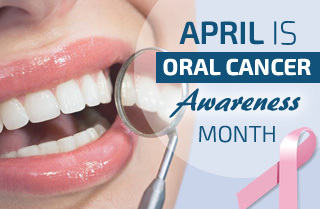 April is Oral Cancer Awareness Month and we invite you to get your oral cancer screening today! 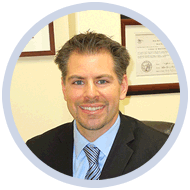 Every year, approximately 48,000 Americans are newly diagnosed with oral cancer. What is even more alarming is that the cancer is often present without symptoms. People are simply unaware or do not know about this deadly disease, and dentists across the nation have made it a priority to make their patients aware and get the attention they need in a timely manner. For this reason, many dentists complete an oral cancer screening during every check-up and encourage patients to visit them every six months. While many patients who are diagnosed with oral cancer are smokers or tobacco users, an alarming amount of newly reported cases are among the younger, healthier and nonsmoking population due to the connection between the HPV virus and oral cancer. Unfortunately, we cannot stop this disease from spreading and there is no known cure as of yet; however, through public awareness, professional and community involvement, more patients will get diagnosed early and can be treated accordingly which in turn will save lives. Encourage friends and family members to visit a dentist regularly. A single visit with an oral cancer screening is simple, non-invasive, is completed in just a couple of minutes and can save your life. Call us!